From Wednesday 13 March 2019 until Sunday 13 March 2039: Enjoy 10 % off! From Wednesday 13 March 2019 until Sunday 13 March 2039: Enjoy 15 % off! 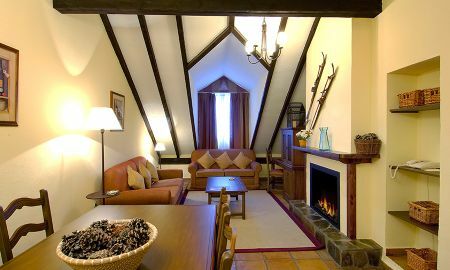 Vincci Selección Rumaykiyya is the most exclusive 5-star accommodation in Sierra Nevada. The hotel provides direct access to the ski slopes, making it the ideal place to enjoy nature, sports and tradition. 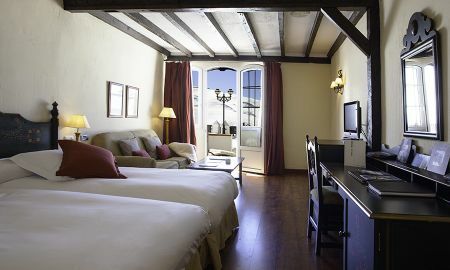 It offers top luxurious rooms, suites and junior suites with rustic-design furniture, full of personality and character that provides the highest comfort. The hotel offers free WiFi in all rooms. In the mornings, the hotel serves a varied breakfast, with options for coeliacs. On the other hand, it offers a Gourmet restaurant with the most exquisite gastronomy of Granada, where diners can enjoy their exclusive traditional dishes. 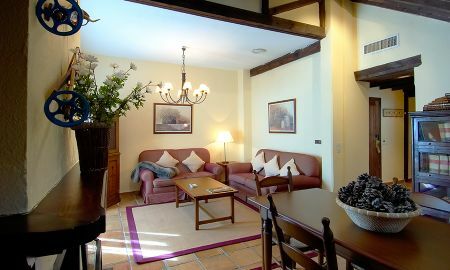 In addition, in the Piano Bar, another of the options of this wonderful accommodation, guests can relax after a long day of skiing. Vincci Selección Rumaykiyya is the ideal place to unwind and take advantage of one of the many beauty and relaxation treatments offered by its spa, one of the best centers in the entire mountain area of ​​Monachil and Sierra Nevada. The hotel also has spaces to hold corporate events, anniversaries or receptions. Vincci Selección Rumaykiyya Hotel is located in Monachil´s Sol y Nieve complex, in Sierra Nevada, the best ski area in Andalusia. 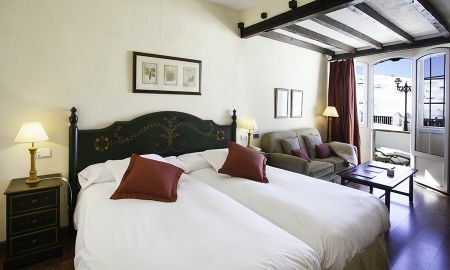 It is a hotel perfectly connected to Granada city and close to hiking and mountain routes. In addition, it stands out for being a mountain accommodation right at the foot of ski slopes and very close to Pradollano. The Federico García Lorca Granada Jaén Airport is 1 hour by car from the hotel.